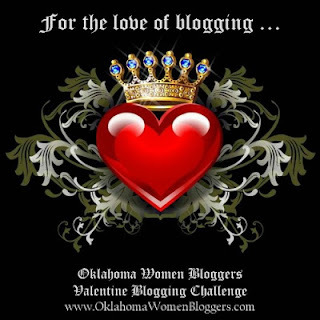 I'm participating in the Oklahoma Women Bloggers Challenge "For the Love of Blogging" this week, today the topic is love. I am lucky enough to have found my soul mate. The Hubs is by far the greatest husband and father a girl could ask for. I thank God every day that I have been blessed enough to have this man in my life. Is he perfect? No. But he is perfect for me and the story of the day we got engaged is testament to that. We were in California to see The Hub's parents, they live just south of Yosemite National Park aka beautiful country. One morning, The Hubs asked if I wanted to go for a hike, he had a special spot he wanted to show me. Of course, I said yes--I love hiking and the fact this man, I loved, wanted to show me a special spot made it all the more intriguing. We hiked for about 15 minutes before coming to a huge rock outcrop overlooking a waterfall. It was beautiful. We sat on the rock and watched the sun rise. Just as the sun crested over the mountains The Hubs pulled out a gorgeous solitaire wrapped in white gold. Cliché or not, I couldn't stop the tears as I said yes to his next question, which was (as if you haven't already guessed) if I would marry him.